As an aside, feedback is always welcome if you have anything you'd like to see in the blog going forward, feel free to reply here or PM me. Thank you for this great read, congrats on the great performance! A pity for that last game, but that's how we learn! Looking forward to your next set of adventures. I hope you will be making more coverage like this in the future. It has been a great read! I'd like to see you try Double Dragon (actual dragons, not the younglings) making use of the QCav BSB on a Dragon which can now take Nova Flare. You can pair that guy with an OotFH on Dragon with Hero's Heart PW and Essence for two solid combat-capable dragons which also covers casting and BSB duties. 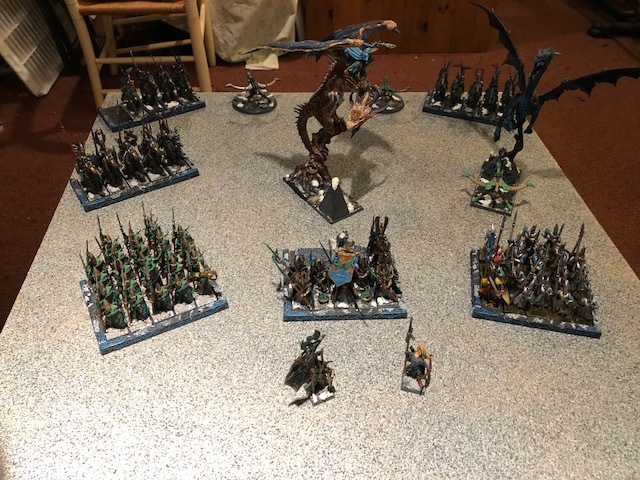 I have completed two lists for .205 and one of them is close to this, triple dragon, with QCav BSB on regular dragon w Nova an OotFH on YD and a Master on YD. Will definitely get some games in soon! Also super keen to see this! I'd love to see some griffon action. Any thoughts on including them now that they got cheaper? You’re going to see a list in some practice games very soon with a master mage on Griffon, 100 pts seems like a pretty points efficient upgrade.